This guide is intended for town owners or environmment designers looking to quicken the rate of development and growth, written in order of the level of detailing. Before there is something, there is nothing. But even nothing can be something, right? All towns will have barren fields, whether they be vacant lots or the outskirts of town. Barren fields are typically nothing more than ground cover, and can be an eyesore. However with a very small time investment you can fix this. Here's a typical empty field inbetween a road and distance build. It looks like empty land, awaiting future development. However with just 2 or 3 minutes time, I was able to build in some particle emitted grass that I have preset, followed by tossing in a few rocks and trees. Now it looks like a proper barren field, not an empty void. Don't spend too much time sprucing it up, since it's essentially temporary anyway. This field won't be developed any time soon so it's worth a couple minutes time to properly "put it on hold" for now. 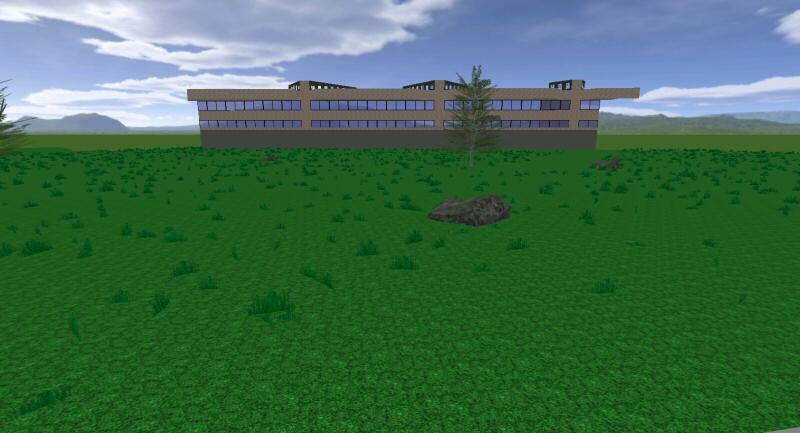 You can also rapidly spread clusters of trees and flora around by building a loose pattern of 3-5 entities, and selecting them all and dragging copies around using mouse-move, then rotating. This is a theoretical technique not yet used in SW City, so there's not much I can write yet. The idea is creating a nice chunk of landscapnig, such as a hill or plateau, then use 1024 sized selections to turn it into an AWG at multiple angles, and dupe it all over the place. Following this you can clean up excess, unseen objects and add in some customizations here and there to hide the fact that they're all the same copy (which would be quicker to do than recreating every chunk of landscaping from scratch). Facades are your most important element to mass developed buildup. For some reason I've noticed that only a few people build these, and the concept seems foreign in budding cities. Facades are exterior-only buildings (or in some cases mostly exterior). Most of AW builders are needlessly stuck in a house-level mindset when it comes to level of detail. Building interiors for your buildings is fine if you're just a builder, but this is ridiculous if you're going to be an environment builder, which is normally the role of a city owner. They're quick to build, and pratically the only solution towards building up a large city environment in a reasonable amount of time. They fill in the space inbetween more important buildings that have interiors. 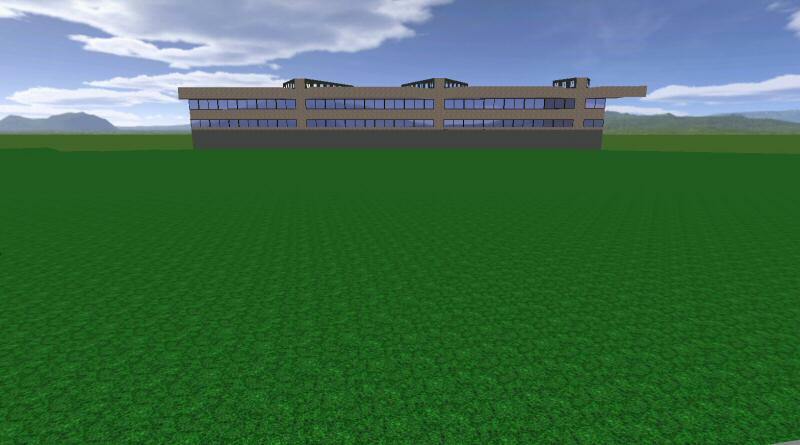 They're not at all laggy compared to buildings with interiors, and hence can be used to properly space out your interiored buildings apart, since tight clusters of interiored builds will lag. They can look pretty nice since all the cell space can be devoted towards exterior detailing. They can be given interiors later on should the need arise. Level of detail calls for facades. On house-level detailing, you wouldn't build 2x4 boards inbetween the walls of a house, or food inside a fridge. Likewise, on city-level detailing, you don't need to have interiors on every single build. Top rated, modern video games of all genres use facades for city environments as well, citing and industry standard acceptance of its use. AW should be no different. There's very little reason or interest to create interiors depending on the nature of the build, such as an apartment complex. As seen here, the tan buildings are facades, and provide an environmental backing around the more important power plant building in the middle. To sum it all up, I'm basically saying that your city will develop at a snail's pace if you insist on making every building have a full blown interior. Use facades and enjoy the benefits of mass development.